Take 20% off when you spend $50 or more with code TREATS20. Excludes gift cards. Limit one per customer. 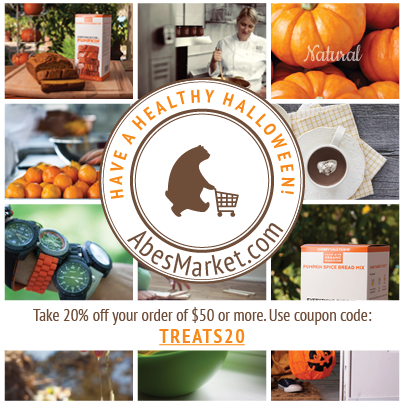 In honor of a healthy Halloween, share treats from Abe's in the form of this generous coupon code. Adorable gifts for little ones! Another Gateway Clipper Fleet Give-A-Way! Host an Usborne Book Party! Special deal on Mary Poppins tickets!